UConn women’s basketball lost a regular season game against No. 8 Baylor Thursday, falling 68-57. It was the first such loss for the program since an 88-86 overtime loss to Stanford on Nov. 17, 2014, ending a streak spanning 126 regular-season games. The Huskies had only lost twice in total since then, both in NCAA tournament championship games. That got us thinking. What are the most impressive winning streaks in NCAA history? * This marks UConn’s first regulation loss in its last 209 games. * UConn had won 126 straight regular-season games. Dating back as early as 1953, college sports has seen some incredible winning streaks from a variety of sports at every level with six surpassing the 100-game streak. The Hurricanes’ 60-year-old streak still remains the longest in all of college sports and is one that is guaranteed to stand alone for at least the next few years, if not for eternity. Coached by two Intercollegiate Tennis Association Men’s Hall of Famers in Bill Lufler and Dale Lewis, Miami’s streak began with a 7-2 win over Presbyterian (S.C.) in the third match of the 1957 season and extended to the third to final match of the 1964 season. Strangely enough, the Hurricanes did not win any national championships during their streak because prior to 1977, the NCAA used a point system to determine its champions rather than the metric of head-to-head dual matches (singles and doubles). 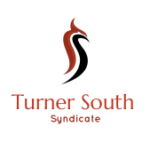 The Seasiders’ streak began at the start of 2002 after they lost in the DII championship game the year before, and continued into the 2005 season where they won three consecutive national championships during that stretch. Prior to the championship loss, BYU-Hawaii held the previous women’s tennis winning streak and is the only school in the NCAA to surpass at least 100 consecutive wins on two separate occasions. 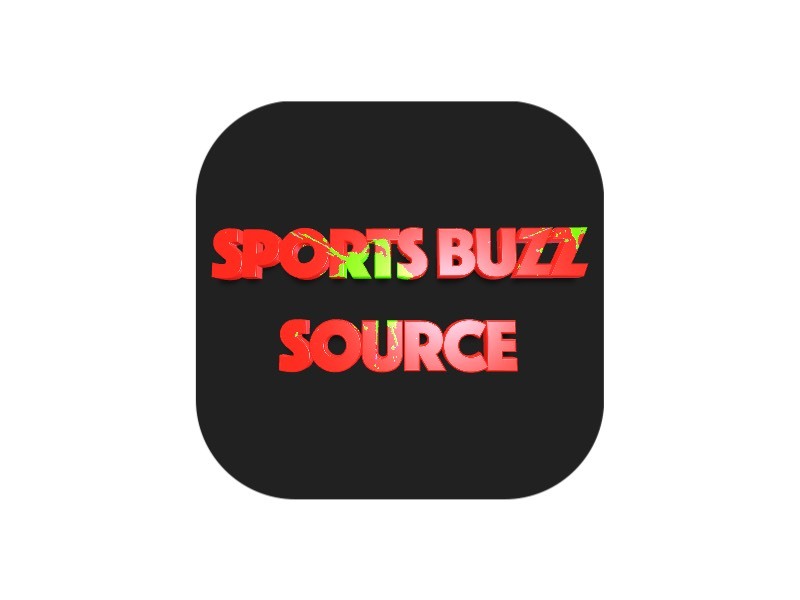 Since Geno Auriemma took the reins of the UConn women’s basketball team in the 1985-86 season, the Huskies have propelled themselves into the national spotlight as an iconic program. One of UConn’s most impressive characteristics since the turn of the century is that it continues to break its own previous records. UConn had set the previous mark of 90 consecutive wins only to up that record with 111 wins from Nov. 23, 2014 to this past year’s Final Four, where they lost to Mississippi State 66-64 on an overtime buzzer beater. Penn State was on top of the volleyball world from 2007-10 and its streak is full of numerous records that put into perspective how dominant the Nittany Lions truly were. 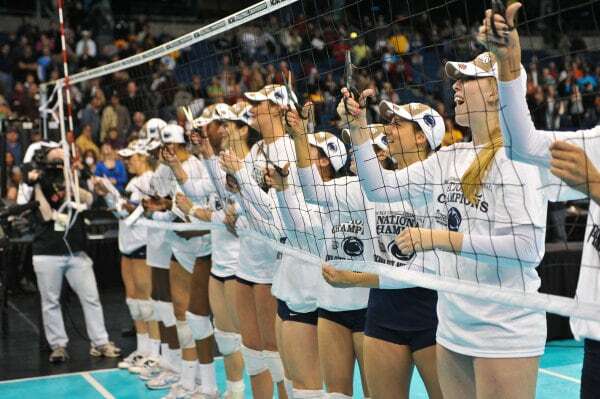 During the four-year stretch of the streak, the Nittany Lions won four national championships. No other Division I team has won more than back-to-back titles. However, what’s even more impressive is the fashion in which Penn State its record; during that run, the Nittany Lions lost only 19 total sets and set a record off 111 straight set victories from Dec. 15, 2007 to Dec. 18, 2008. “Given the competitiveness of women’s volleyball across all of the divisions, I don’t foresee this record ever being broken,” said Kathy DeBoer, executive director of the American Volleyball Coaches Association (AVCA). Before the Seasiders set the now-record 130-game winning streak, they previously won 103 consecutive matches from 1999 to 2001. During the first streak, BYU-Hawaii won back-to-back championships in 1999 and 2000, which started its run of five titles in six years. The Lions’ streak during the 1990s featured six national championships under head coach Sharon Goldbrenner-Pfluger. TCNJ’s record is the lone streak in lacrosse at any level, men’s or women’s, to surpass the triple-digit mark. Just how impressive was UNC’s 92-game winning streak? For starters, 84 of its 92 wins during the streak were decided by two or more goals. Looking at the bigger picture, the Tar Heels won nine consecutive national championships from 1986 to 1994 and only suffered one loss during that stretch. That came in 1994, and the Tar Heels went on to defeat Notre Dame 5-0 in the championship game later that season. Prior to UNC’s 92-game winning streak during its championsip run, the Tar Heels went 103 consecutive games without a defeat starting in 1986 and ending in 1990. There’s no secret to UNC’s talent when their roster featured future Olympians such as Mia Hamm, Kristine Lilly and Tisha Venturini. Regarded as one of the greatest dynasties in all of college sports, the Bruins’ run in the early 1970s is one that most likely never be seen again in men’s college basketball. Coached by Hall of Famer John Wooden, UCLA won the final three of its seven straight national championships during the Bruins’ 88 game winning streak. Bill Walton is the most familiar name associated with the early 70s UCLA teams, while Henry Bibby, Sidney Wicks, and Jamaal Wilkes were all key contributors to the Bruins teams that will forever be remembered as one of the most dominant runs of any sport at any level. 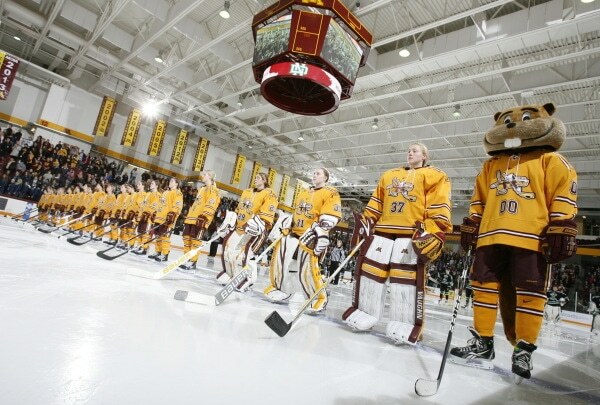 The Golden Gophers set a collegiate hockey record winning 62 games between 2012 and 2013, winning two championships during the span. In 2003, when Mount Union beat Bridgewater 66-0 in the semifinals of the DII tournament, the Purple Raiders broke the previous NCAA record of 54 consecutive victories — a record belonging to none other than Mount Union, from 1996-1999. During the 55-game streak, Mount Union won three Division II championships and four conference titles. The Purple Raiders outscored their opponents by a total of 2,552 to 641 in those 55 games, equating to an average score of 46.4 to 11.7. Since Oklahoma set the record for most consecutive wins in the 1950s, no other program in FBS has come within 11 games of the Sooners’ mark of 47 from 1953 to 1957. After a loss in the 1953 season opener and a tie the following week, Oklahoma rattled off nine wins to finish the season and defeated Maryland 7-0 in the Orange Bowl. During the Sooners’ run, they won back-to-back national championships in the 1955 and 1956 seasons. Since the turn of the century, Miami’s 2000-03 34-game winning streak and Florida State 2012-14 29-game winning streak were the only ones to even come close to Oklahoma’s mark. 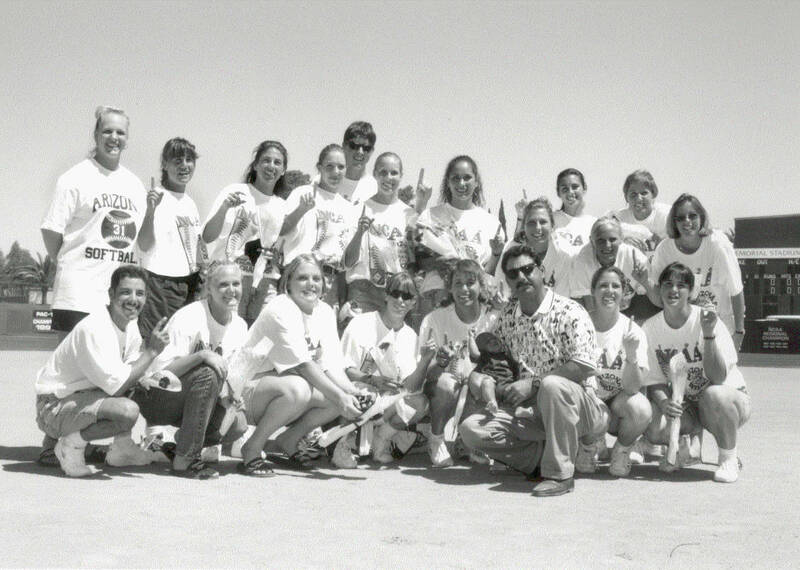 The Wildcats have been regarded as one softball’s premier programs in the history of the sport and their record of 47 consecutive wins that spanned from the 1996 to 1997 season were among some of their best in program history. Arizona won national championships in both years the winning streak touched, and finished with a 119-16 combined record during those years. Not a bad run. Oregon softball made its own run at the record this year, starting the season with 35 consecutive victories. That tied the mark for most consecutive wins to open up a season.